While short sellers in U.S. equities have an appetite for destruction brewing in the stock market, the latest volatility is also fueling an appetite for bonds as the Dow Jones Industrial Average fell over 500 points before gaining back its losses on Monday. A 507-point decline was reduced to a mild gain as of 2:30 p.m. ET in Monday’s session, but those market oscillations are the types of swings that are paving the way for capital flows into fixed income. With the yield in government debt like the benchmark 10-year yield falling, it suggests the move towards safe-haven assets to escape the volatility–a trend that could also see long duration Treasury yields fall to record low levels in the 1 percent territory. The capital markets are bracing for an increase in the federal funds rate this month by another 25 basis points–the fourth and final rate hike in 2018–but Lang predicts that any signs of dovishness in the post-rate policy press conference by Fed Chairman Jerome Powell could help ease the volatility. 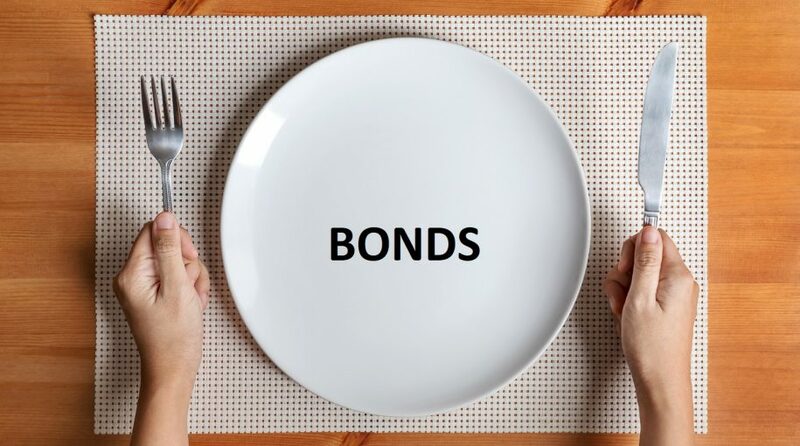 In the meantime, the move to bonds has been followed by inflows into the exchange-traded fund (ETF) space for fixed income, particularly of the short duration variety. With the U.S. equities in limbo as investors are undecided on whether to enter the markets on the recent dip or remain in cash, a move to more safe-haven assets like bond have been the most recent default move.